I’m offering 3 free places in the next group of my Lifestyle Change and Weight Management Program. This works in groups of ten which is fantastic for developing group support and motivation and also for sharing previous experiences as well as the new ones as you work through the 90 Day Program. Recently I was reading a great post on a Facebook Group I’m on and it gave some excellent reminders of how to practice Mindfulness, which has become a lost art for many these days. The group is called Mind Over Fatter (the psychology of weightloss) and it is owned by a gentleman called Greg Justice. I think you’ll enjoy the discussions on there. 1. Awareness. Stuff happens every second, and if seconds could be divided even those particles have moments that slip by too fast or too slow. The stomach tickles, to take a check into what’s going on inside of your head and your body. It’s like using those little emoticons and smileys in your texts and tweets that show immediately your awareness of what you are feeling on the inside – and projecting it outward! 2. Acceptance. You already know what you really experience –it is true for you, whether or not you like it– no matter what anyone else might say. This moment is the time to stop the fight over what goes on with you in your mind that you want to change, avoid, get back at, get even with, or on the other hand, even to crow about. In this moment you don’t have to be responsible to make a change or to change – merely to accept. 3. Compassion- It is commendable to be on the road to improvement. But usually you do it by criticizing your weaknesses, lacks, and you may even be down about what you did wrong, mistakes, missed plans. Take this moment to be as compassionate to yourself, as you would be to others in need. Give yourself the hug, the pat, the nod, the ok, that you would give to your dear friend or relative. 5. Non-judgment- Of course you have opinions–that is part of who you are. But this is the moment to dispel judgment–just to ease and observe, take a load off because it’s a relief not to have to know where your philosophy is all the time. 6. Patience- The things you don’t like or want happen too quickly–bills come, deadlines come, preparations and intentions don’t always pan out, the best growth and discoveries usually take more time than you think, and are not easy, but that’s ok and that’s the way it is. 7. Practice- Thinking, planning, understanding, feeling inspired are all great, but like the saying, put your muscle where your mouth is. Until you practice it’s nothing more than interesting and entertaining ideas and thoughts. 8. Present moment focus- Luckily you remember the past– and are also planning the future–it’s life and what you have to do, and it is useful to think in all directions. But this moment is just to be aware of the moment, what is filling up this exact moment. It’s not empty, each moment to the next is willed with sight, sound, sensations, thoughts, emotions. 9. Tolerance- Into every life some rain must fall the old saying goes and nobody escapes some unpleasantness and pain and that’s just the way it is. In this moment learn to tolerate the bad, and appreciate a peaceful feeling that it is just there. 10. Validation. What you experience goes on inside you and is your thought, emotion, sensation. It is there for a reason because it is what makes you unique. You have your learning, your history, your genetics, your personality, and that is you and valid–whether you understand the moment’s experience or not. Take away: It is interesting to note how successful 12-step self-improvement programs echo the Principles of Mindfulness above. All such programs owe their origin to the Oxford Groups led by Dr. Frank Buchman in the 1920s. According to Buchman the guiding principles of the “OGs” were: absolute honesty, absolute purity, absolute unselfishness and absolute love. Another example of east meets west? People are often skeptical about hypnosis and its ability to aid in smoking cessation. Because of my many years of experience helping people break free form smoking, I understand the skepticism. The purpose of this article is to help people understand the benefits of hypnosis as a smoking cessation aid. First and most important is to understand that smoking is an addiction. Popular media has informed us about the obvious addictive potential of nicotine but not much is discussed about the psychological part of this addiction. Cigarettes find their way into the very fabric of everyday life, becoming a part of so many activities. Habits are formed, creating associative relationships to things like food and alcohol or even driving a car. Smokers also learn to identify themselves with cigarettes, and after a while, it seems to become a part of them. You must understand that psychological cravings are just as real as chemical ones. Perhaps most importantly cigarettes become for most people, part of a coping mechanism to try to deal with emotional pressures like stress and boredom. When a smoker becomes upset, he or she reaches for the cigarette to try and feel better. The truth is that cigarettes are a false friend that tries to control and injure you, it is an abusive relationship. There are much more positive ways to learn to calm and feel better without replacing smoking with food and putting on weight. You can learn how. Recent publications tell us that our bodies eliminate the need for nicotine only a few days after we quit smoking. 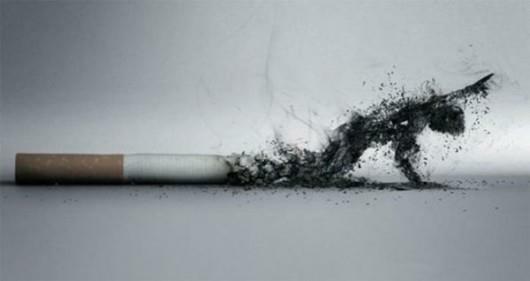 If it was purely a physical addiction, we would be done with smoking after a few days off the cigarette. But as most smokers know, the cravings usually continue when they try to quit cold turkey far after those first few days are over. This is because of the psychological needs that continue to drive the motivation to smoke through the many association stat develop over time. This is where hypnosis helps. Hypnosis is an excellent tool for re-learning. By changing subconscious motivations to smoke you will change the habits and associations that drive much of this behaviour. You can also learn new coping skills so that the cigarette is not needed during stressful or emotional times. With these new attitudes and tools, getting through the first couple of days of the chemical addiction is usually much easier. Dealing with both the chemical and the psychological addiction is the real key to long term smoking cessation. As you can imagine, with a smart plan and new tools and new attitudes about smoking, you can learn how to change the habits and healthfully deal with the emotional strains of a life free from cigarettes. Hypnosis is not magic, it is a powerful tool. With professional help and understanding and if you really want to quit and are willing to put in some effort and invest in yourself, you really can quit smoking for life. I have had great success with both my face to face and self help Break Free from Smoking programmes and there is more information on my Brain2Body Product page at the top and also details of sessions in the Hypno-Psychotherapy page.